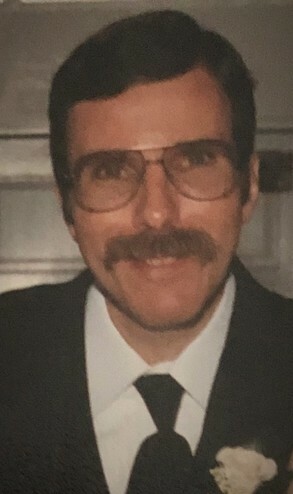 Christopher James Baylock, 60, formerly of Union, NJ passed away in the year of the Lord, April 6, 2019. He was born in Newark, NJ the son of the late Margaret Lysiak Baylock and Thomas Francis Baylock and was preceded in death by his brother Thomas Baylock. A funeral service will be held at 11 o’clock Wednesday morning April 10, 2019 in the Chapel of Bright Funeral Home. Christopher is survived by his wife, Nancy Baylock; a daughter, Kristen Cole and husband Karlton of Wake Forest, two grandsons, Ryan and Dylan Cole; a brother, Greg Baylock of Hellerton, PA. In lieu of flowers please make donations to Transitions Life Care, 250 Hospice Circle Raleigh, NC 27607 or to the National MS Society, 301 Industrial Drive Suite 210 Raleigh, NC 27609.